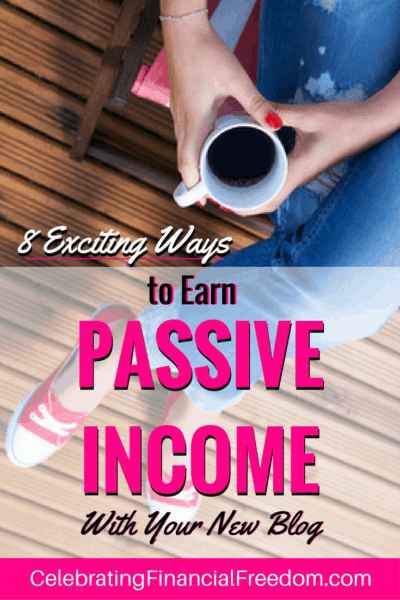 Passive income is the concept of doing work once, but earning income from it constantly without doing much additional work. Some people call it making money while you sleep. Think about it- in a traditional job you trade time for money. You spend your required 8-10 hours a day on the job and you get a paycheck once or twice a month. However, with passive income you can spend the time (maybe a few days or weeks) to produce a product that makes money for you day in and day out for years into the future! Place ads on your site that people view or click on. You make money from each one of those interactions without having to do anything other than put the ad on your site. Contract with an advertiser that pays you monthly (or yearly) to place a display ad on your site. Place automated ads through Adsense, Thrive ads, or other services that pay per click or per impression. Produce a course that teaches people how to do something. You’ll have to spend time with marketing, but producing one course, one time can make money continuously for many years into the future. 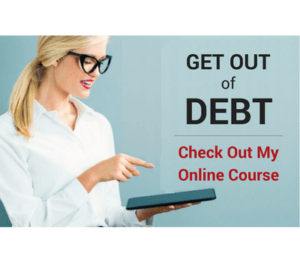 You can build and host online courses at sites such as Udemy, Teachable, and Lynda.com. Just like courses, books can be a great way to produce passive income over a long period of time. I wrote a couple of posts on how to make money selling ebooks that'll give you in-depth info on how to write and sell ebooks to make passive income on the side. As I talked about in the last email, affiliate marketing can be a huge money maker. Place affililate links into your blog posts and emails for people to click on when they’re interested in a product or service you mention. It’s a convenient service to your reader for you to provide those links, and you get to make money if they decide to buy what you recommend. It’s a win-win! 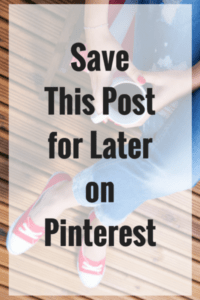 Here's a good example of one of my top posts using affiliate links. There are literally thousands of products you can be an affiliate for. You can find them at affiliate program sites such as Shareasale, Flexoffers, Commission Junction, Amazon’s Affiliate program, Max Bounty and others. Be careful not to go crazy with a lot of affiliate links in your blog posts; and emails to your readers. Just put in one or two where appropriate so your readers will notice them and they don’t look spammy. To get a great start with affiliate marketing, I highly recommend the online course Making Sense of Affiliate Marketing. It’s an awesome course by Michelle Schroeder Gardner who makes over $50,000 a month with affiliate marketing. She shares her exact strategies and tips that took her from $0 to $50,000 a month in affiliate income. I’ve taken the course myself, and I can tell you it absolutely works! 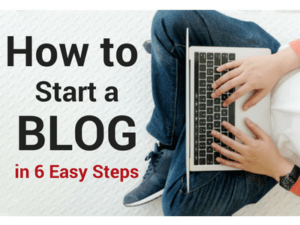 If you want to have a money making blog, you need this course! A recommendations page is simply a page on your blog where you have a list of products and/or services you recommend. People like to get recommendations from people they trust, so placing these affiliate links is a win-win for you and your reader. Just make sure to recommend products you actually use and/or trust. It will be more genuine and you’re not recommending something just to make money. Trust is key! 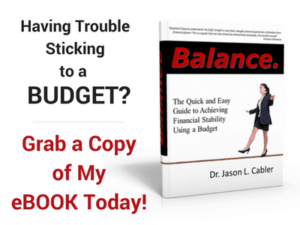 Check out my Resources and Recommended Products page here. A great way to include affiliate links in a blog post is to write a review of a product you like. The review should be as honest as you can make it. Don’t be afraid to include things you don’t like about the product. Your readers will trust you much more when you show the good and the bad of each product. Just because you don’t like a particular feature doesn’t mean they won’t, and that goes a long way toward earning your reader’s trust. Even better, a totally honest review ensures that your reader won’t be surprised when they click on your affiliate link to make a purchase. Your reader will have the confidence of knowing exactly what they will get when they click on that link. Here's an example of one of my review posts. Writing a tutorial post is a great way to get people engaged and clicking your affiliate links. For instance, I wrote a post on how to roast and sell your own coffee beans. In that post I included Amazon Affiliate links to products like coffee roasters, green coffee beans, and books about coffee. I consistently have several people a day click on these links, many of whom end up buying beans, equipment, and books. It’s totally passive in that I wrote the post about 3 years ago, but it still consistently makes money for me today without any additional work on my part! Read Multiple Streams of Income- What is it and Why Do You Need It? So that’s it for today. In my next post I’ll show you how to start building traffic and attracting readers to your new blog. I have taken Michelles course- it’s amazing isn’t it! I have three blogs now and am thinking of starting a Third. Reviews and tutorials have worked well for me so far, but definitely want to up my game for 2018! I’ve been working much more on affiliate income this year, and plan to continue that focus next year too. I learned a TON from Michelle’s course! It has definitely paid off for me!